Dr Van der Net graduated from the Dutch institute for Higher Education at Utrecht with a BSc. in Physical Therapy in 1979. In 1983 he did an internship at the Hospital for Sick Children in Toronto, Canada, with a special focus on Musculoskeletal conditions and pediatric burns. In 1984, Dr Van der Net was among the first students to enter the first comprehensive pediatric physical therapy course (3yrs) in the Netherlands. In 1987 he graduated as Pediatric Clinical Specialist (PCS) and became a registered Pediatric Clinical Specialist in the Netherlands. In 1993 he started his PhD work on clinimetrics in childhood rheumatic conditions, and in 1995 he received his PhD. on the thesis: Functional Aspects in Childhood Rheumatic Conditions. In 2010, he succeeded Dr Paul Helders, as head of the Child Development and Exercise Center at the University Children’s Hospital. In 2014 he was promoted to associate professor in pediatrics and clinical health sciences. In the same year he became director of a transdisciplinary Developmental & Integrated Care program. 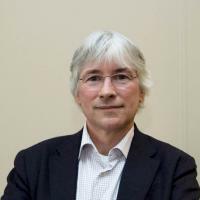 Besides his professional career Dr Van der Net was also president of the Dutch Association in Pediatric Physical Therapy 2007-2014), Member of the science board of the Royal Dutch Association of Physical Therapy, and editorial board member of Pediatric Physical Therapy and Pediatric Rheumatology. Van Brussel M; van der Net J; Hulzebos E; Helders P JM. ; Takken T. Perspective: The Utrecht approach to exercise in chronic childhood conditions: the decade in review. Pediatric Physical Therapy 2011; 23(1):2-14. Feldman BM, Funk SM, Bergstrom BM, Zourikian N, Hilliard P, van der Net J, Engelbert R, Petrini P, van den Berg HM, Manco-Johnson MJ, Rivard GE, Abad A, Blanchette VS. Validation of a new pediatric joint scoring system from the International Hemophilia Prophylaxis Study Group: validity of the hemophilia joint health score. Arthr Care Res 2011;63(2):223-30. W Groen, T Takken, J van der Net, PJM Helders, K Fischer. Habitual physical activity in Dutch children and adolescents with Haemophilia. Heamophilia 2011;17:1-7. W. Groen, J. van der Net, K. Bos, A. Abad, B-M. Bergstrom, V. S. Blanchette, B. M. Feldman, S. Funk, P. Helders, P. Hilliard, M. Manco-Johnson, P. Petrini, N. Zourikian, K. Fischer. Joint Health and Functional Ability in Children with Haemophilia who receive Intensive Replacement Therapy. Heamophilia 2011;17(5):783-790.